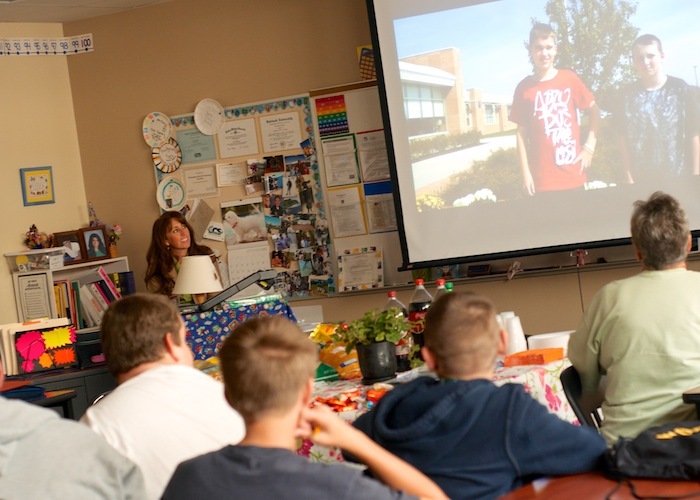 Lisa Bjork showed a short video her 5th hour class Friday that was produced by a pair of students to highlight their recent service learning project. 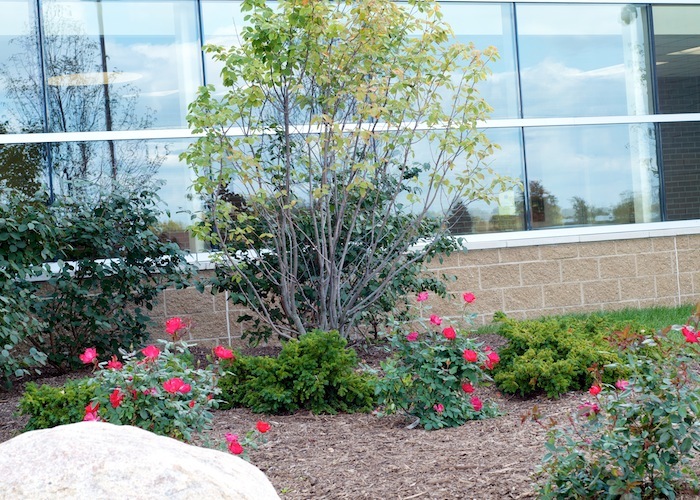 These freshly-planted roses can be seen at the rear entrance of the school. It has been a big couple of weeks for Lisa Bjork’s seventh graders at Zemmer Middle School. Last Thursday several members of the class showed up on the front page of the Lapeer Area View to promote a feature article on the students’ service learning project with master gardeners. The students spent a total of five hours working on the landscape of the front and rear entrances at Zemmer, moving dirt, spreading mulch and planting flowers. The property looks fantastic. On Friday afternoon, Bjork told her class that the final piece of the project is the dare-not-overlook celebration component. “It’s important that we celebrate what we’ve accomplished,” said Bjork, before students and their invited master gardener guests had some food and refreshments. She also told the students how pleased she was to see them working together as a class, a cohesive unit with one shared goal. Bjork said, as part of the overall project, the students were called upon to write a reflection paper on the entire experience. Two students also produced a video in which several students and volunteers talked about their role in the project. Excellent job students, staff and volunteers! An extra special thanks goes out to the Lapeer County Master Gardeners Club.